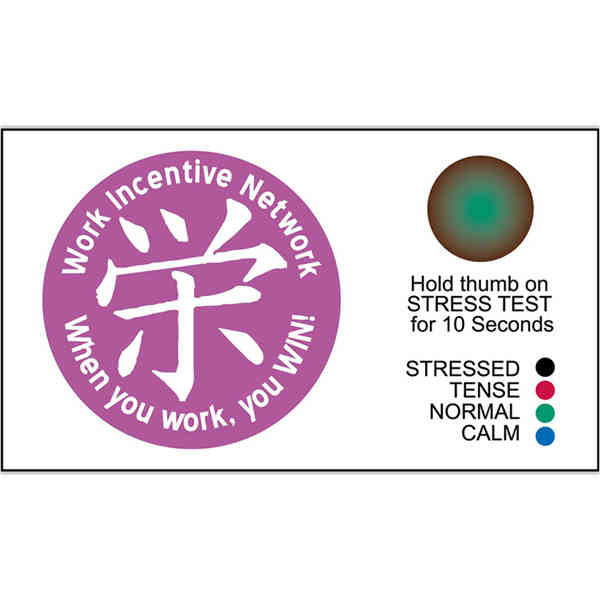 Promote a relaxed atmosphere when you hand out these custom stress test business card magnet! Made in the USA from flexible and non-toxic material, this magnet measures 2" x 3-1/2" with a thickness of 20 mil. It comes with custom graphics and a circle stress indicator attached, which will display a color after placing your thumb on it for 10 seconds - stressed, tense, normal or calm. When customized with your brand name or logo, this item is a great handout for stress management seminars, health and wellness events and more!